Our verdict: The Chase Freedom is a longtime favorite and a great card if you don't want an annual fee. You won't get the huge signup bonus that the above cards do or as many perks, but it's still a nice card to have and the $150 bonus is easy to attain. The rotating 5% bonus categories each quarter can be very useful. Examples of these categories are gas stations, grocery stores, restaurants as well as merchants like Amazon and Kohl's. Get more info or apply here. 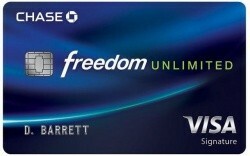 Our verdict: The Chase Freedom Unlimited is a great "daily driver" card as you'll earn 1.5% back in Ulitmate Rewards points on all purchases. There's no limits to worry about and no categories to be concerned with. The $150 bonus requires spending a very low $500 in the first 3 months. That bonus, combined with no annual fee makes this card a no-brainer for most people. If you have another card such as the Sapphire Reserve or Ink Preferred below you can transfer points earned on this card to those cards to take advantage of conversion to travel partners or bonuses for using points through Chase travel. Get more info or apply here. 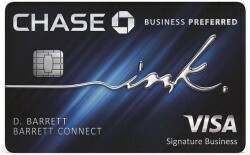 Our verdict: The Chase Ink Preferred is an great card for anyone, even if you don't have a traditional business. If you don't have an actual business, you can just use your full name as the legal business name when applying. Getting triple points on things like travel and your internet, cable and phone bills is a great perk. This card is great for eBay and Etsy sellers as well due to the 3x point categories. The 80,000 bonus points is a huge amount and can be easily worth over $1,000 in travel. All this for just a relatively low $95 annual fee. We use this card for all our GottaDEAL related business charges. Get more info or apply here. Our verdict: The Amex Business Gold Rewards Card is a great card to have for the first year with the annual fee waived. You'll earn a generous 50,000 point bonus by meeting the minimum spending threshold. You also get to choose one of five categories to get triple Membership Rewards points and you'll get double points on the remaining four categories. 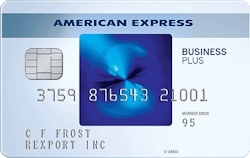 This card also gets you access to the extremely popular Amex Offers which can save you hundreds or thousands of dollars per year. Get more info or apply here. 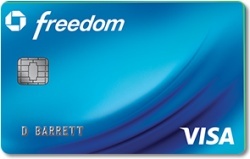 Use this special link for exclusive GottaCreditCard offers on nearly all American Express cards!